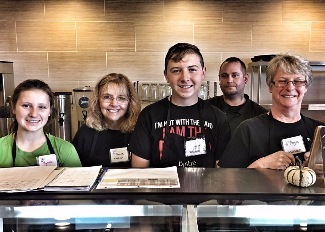 Thank you for your interest in volunteering at Bistro 163! To sign up for a shift please check the list below for available slots. If you see a shift that you are interested in working just click "Sign Up" under that time slot and then click the "Submit and Sign Up" button at the bottom of the page. If you have any preferences or limitations feel free to type in this information on the next page in the "anything we need to know" space. Please be aware that anything typed in this box will publish to the schedule. Due to food safety rules we ask that all volunteers come in closed-toe shoes and with long hair pulled off the shoulders. If you have any questions or difficulties please contact us at [email protected] . Thank you for your support; we truly value our volunteers!